SEREMBAN: Negri Sembilan police expressed disappointment over the act of several individuals who inspected a police vehicle on polling day in Rantau yesterday. “We are very disappointed with the act as if they were more powerful than the police,” Negri Sembilan police chief Datuk Mohamad Mat Yusop said. 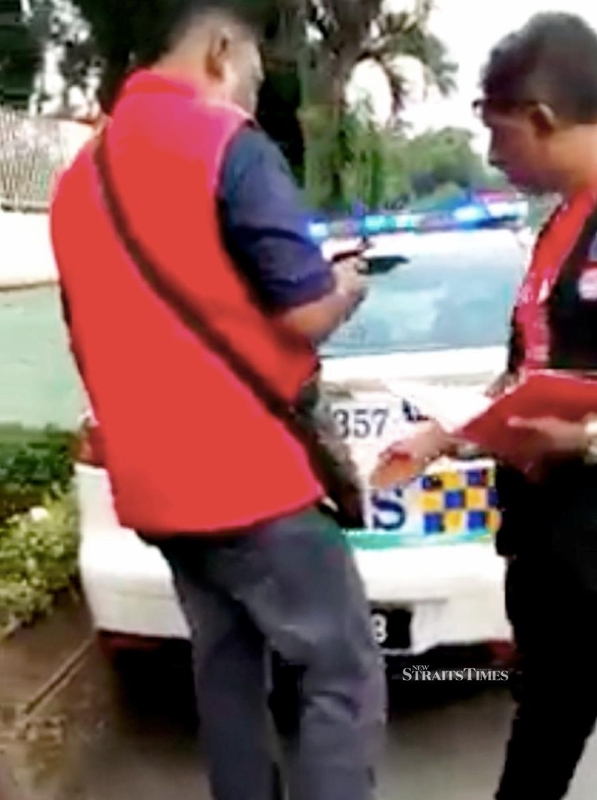 The incident which has since gone viral following several videos posted on social media saw several individuals “inspecting a police patrol car” outside SJKC Chung Hua in Rantau. Mohamad said such an act was possibly the first to occur in the country where the public took to inspecting a police vehicle. “They were extreme, challenging our job and embarrassing us by alleging the police carried extra ballot papers. However the police are very professional,” he told a press conference at the Seremban District Police headquarters (IPD), here, today. Also present were Seremban deputy police chief Superintendent Mohd Rosli Ishak and District Criminal Investigation Department head Deputy Superintendent Ahmad Jamaluddin. Explaining further about the incident which took place at about 6pm yesterday, Mohamad said two police cars had escorted another vehicle carrying ballot papers to the school. He said the police vehicles however did not enter the school area but stopped outside to control the traffic for safety purposes. “Five men then came forward, claiming that our officers brought extra ballot papers. They had no right check the police vehicles as they were civilians,” he said. He remarked that two of his officers should have not allowed the inspection to take place but had to give in to avoid any untoward incident. “The police then opened the car’s bonnet and they only found a safe box and a medical box. “I emphasise that the police were just escorting another vehicle, and did not carry extra ballot papers as alleged. Police were not able to arrest the supporters as they outnumbered our officers,” he said. A police report over the incident was made today and Mohamad said police identified five men aged between 30 and 50, adding that action would be taken under Section 186 of the Penal Code.